Snowflakes in the air can be an exciting phenomenon for kids to watch. 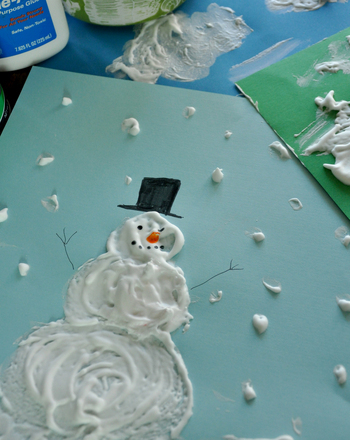 Your child can recreate the magic of snow with this activity, which involves creating your own white “snow” paint. You can turn the activity into a discussion about not only snow, but also weather and seasons. 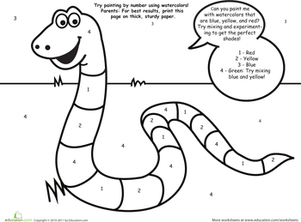 Your child will also get to express his creativity and practise fine motor skills. 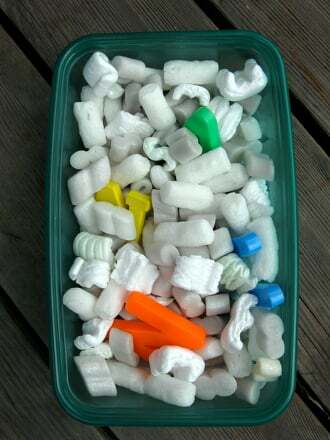 Pour an equal amount of glue and shaving cream into a bowl and mix together until the mixture is thick. Now you have snow paint! 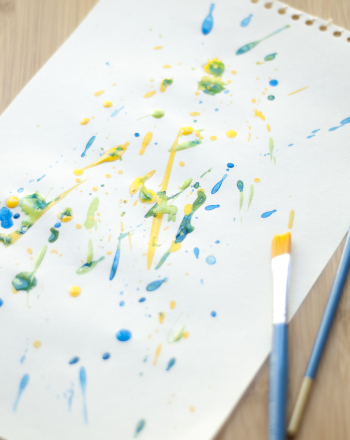 Let your child create a picture on the paper using the paintbrush and snow paint. If he uses thicker amounts, he can create more texture on the page and a 3 dimensional effect. Ask your child questions about snow. In what environments does it snow? What do you think snow feels like? Do you think snow is hot or cold? What do other types of weather feel like, such as rain and sun? What is his favorite season and why? 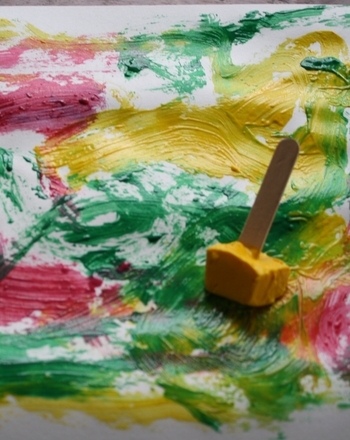 When your child is done with his painting, ask him to describe what he made. Did he make snowflakes, a snowman, or something else? Let the paint dry. Then your child will be able to enjoy his snow painting. 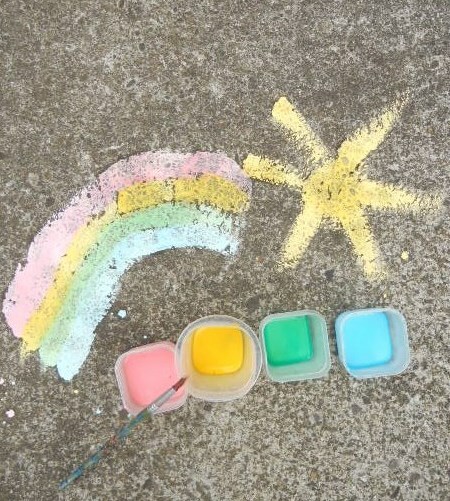 You can also use this paint for other occasions. 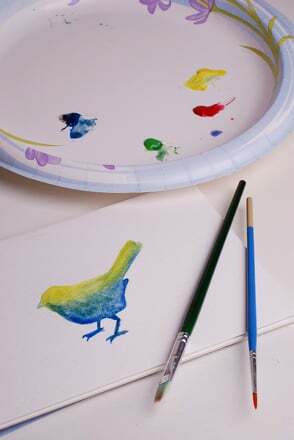 For example, you can add red or pink to make a Valentine’s Day painting, or green for a St. Patrick’s Day painting. 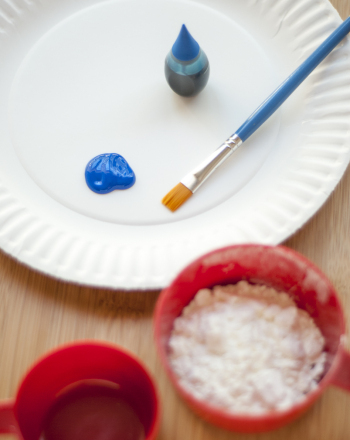 Bring snowy days inside by painting a winter wonderland scene using watercolors and melted snow in this kindergarten arts and crafts activity. 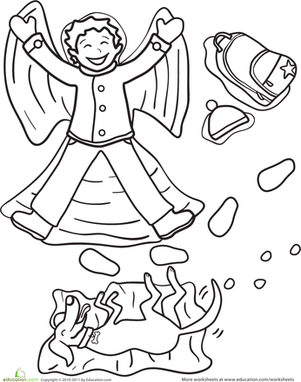 The boy and his dog on this coloring page are plopped down in the snow making beautiful snow angels. This homemade snow globe is fun for kids who are excited about the arrival of winter. 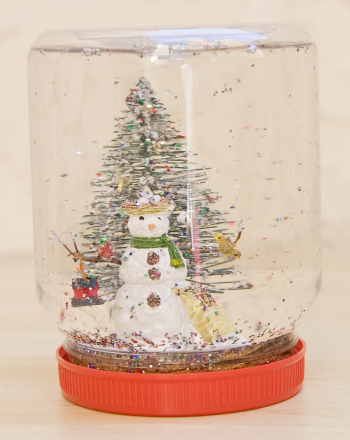 Kids can complete this snow globe craft quickly and easily. Homemade face paint is a safe and economical way to jazz up your Halloween costume. 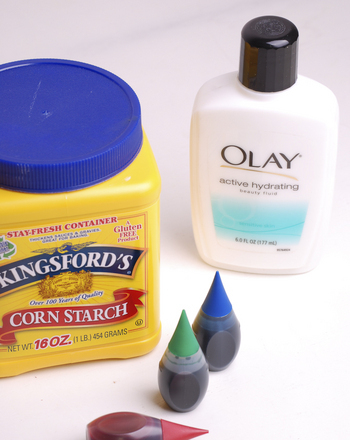 Even better, this easy-to-make face paint requires just three ingredients! Trace the lines on a snow sled. This Snow White coloring page features a classic scene from the fairy tale of her looking skeptical of the apple the wicked with is holding!